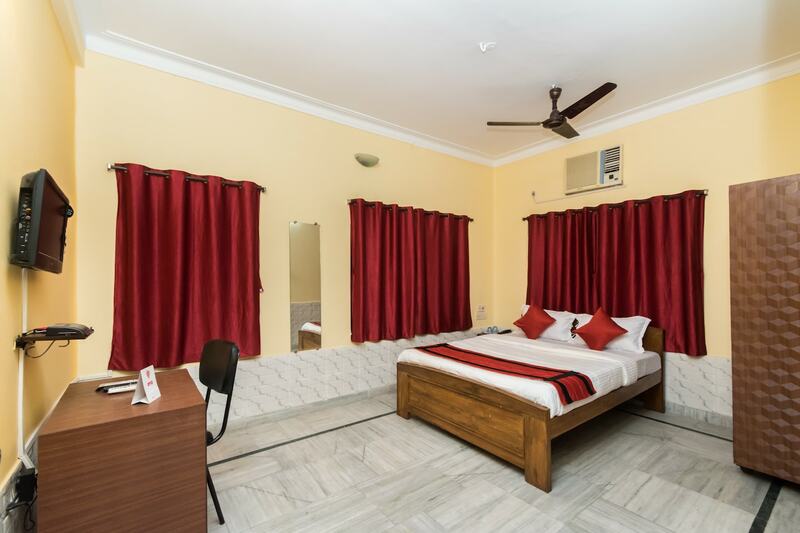 Hotel Studio 6 can be considered a good property located in Sector 1 of Salt Lake City in Kolkata. It offers very comfortable rooms that have been decorated with a lot of detail. All rooms provided by this hotel have been painted and decorated in warm colors such as golden yellow and red. The rooms have been provided with tiled flooring and they are well-furnished. The rooms are well-lit and quite spacious. The additional features provided by the hotel are free Wi-Fi, an uninterrupted power backup source, parking provisions, CCTV cameras, and card payment in all forms. The front desk service is also elegantly decorated and is handled by helpful and experienced staff. The hotel is surrounded by a number of essential facilities such as Bidhan Nagar Railway Station, Vidyasagar Abasan Bus Stop, Kandy Crush, Pappu Chaiwalla, Big Bazaar, and Citi Mart.